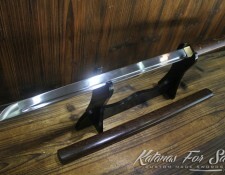 Japanese Naginata were essential pieces for achieving victory in battles. These are works of art by the prominent warriors of Japan’s feudal period. Onna Bugeisha – a female warrior coming from the Japanese aristocracy is famous for using the iconic Naginata. 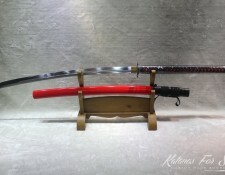 The Naginata is another variant of the Nihonto. 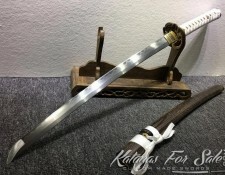 Aside from the Samurai, also The Sohei and Ashigaru utilized this weapon. 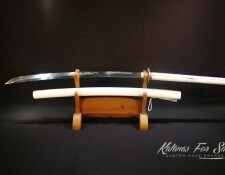 It is among the several types of Nihonto that takes the shape of a polearm. The blade part is the reaping sword for military confrontations. 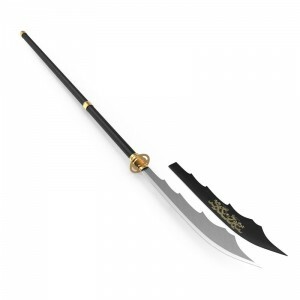 The Chinese halberd is where the swordsmiths got the idea of crafting the Naginata. Soldiers and warrior monks use the O-Naginata; while the women utilize Ko-Naginata. 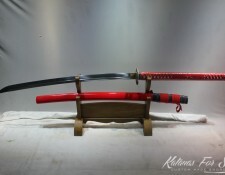 The Ko-Naginata’s blade is smaller than the O-Naginata since carrying out Naginata is relatively tiring with compare to other Samurai swords. This were made smaller also to compensate the height and upper-body strength of a woman. 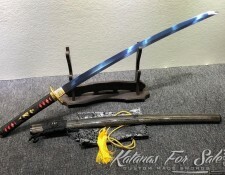 The first Naginata features large blades measuring approximately 1 to 2.5 feet. It has a great curvature with a Sori and is generally wide. As time passes, it became shorter, smaller with lesser Sori. There are instances when the maker did not sign these. 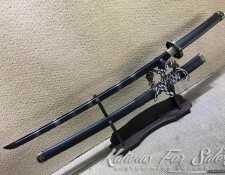 Not all Naginata displays a wrapped pole. However, all of these features a type of pole reinforcement composing of copper or brass rings and collars. Normally, the poles of these weapons have lacquer on its surface, while a few have the mother of pearl chips. 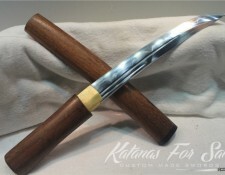 Occasionally, the early Naginata blades are short that are often repolished and reshaped. 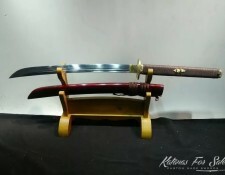 This would give it a Shobu Zukuri or Unokubi Zukuri style. 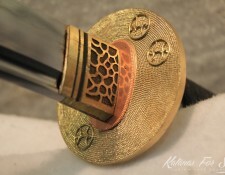 Normally, its Tsuba is very small with the same diameter as its Seppa. 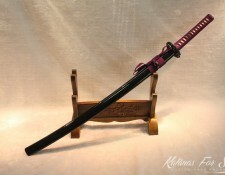 Yet, some features the Tsuba having similar sizes with swords. For the Nakago, it has a fixed pole using a single Mekugi, Though some featured two Nakago Ana. 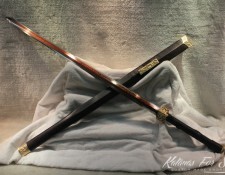 The Naginata comprises of metallic or wooden pole featuring a single-edge, arched blade on its end with a round Tsuba. 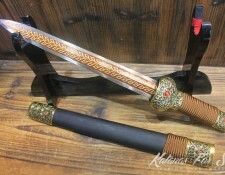 It is similar to the Chinese Guan Dao or Glaive from Europe. 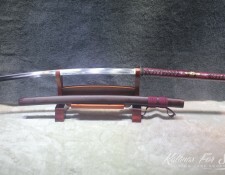 Its 30 to the 60-centimeter blade is similarly forged to the classic Nihonto and features a long Nakago added to the shaft. The blade is removable and can be attachable using a Mekugi. 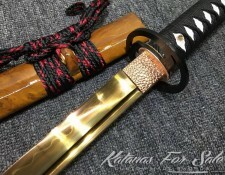 This passes through the Mekugi ana via the shaft and tang. 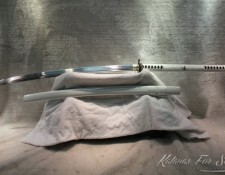 The Naginata’s shaft ranges from 120 to 240 centimeters similar to the shape of an oval. 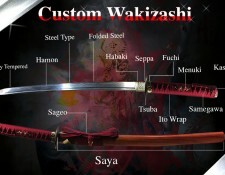 Its Tachi Uke or Tachi Uchi has metal rings or sleeves with a cord wrapping called San Dan Maki. 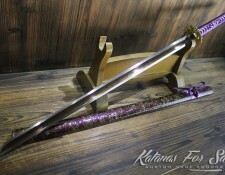 The shaft’s ends feature a heavy metallic end cap namely the Hirumaki or Ishizuki. 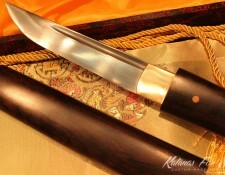 When not in use, you can cover its blade using a wooden sheath. During the 11th and 12th century, the mention of Hoko may have possibly been referring to the Naginata. The usual association of Naginata and Sohei is still unclear. Numerous artworks coming from the late 13th and 14th centuries describe these monks wielding the said weapon. The claims of Sohei using Naginata in earlier periods develops centuries after. And these are symbols in differentiating them from other soldiers or warriors, instead of providing a definitive portrayal of events. 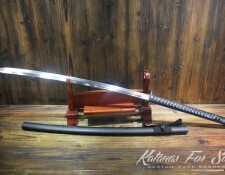 According to studies, the Naginata may have come from the much earlier Hoko Yari. However, it can be challenging to determine when it first appeared. 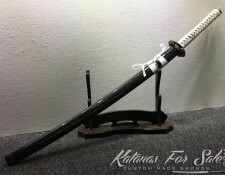 Often, it is claimed that the weapon was crafted by the Sohei in the Nara era; but the earliest and clearest references to this date back to the year 1146. This was during the late Heian era. From 1180 to 1185 during the Genpei war, where Taira pits against Minamoto, Naginata popularity rose and regarded as a highly efficient weapon. During this period, cavalry battles became vital, and the Naginata proves to be an excellent tool for dismounting and disabling riders. With the widespread use of the Naginata on the battlefield, greaves became part of Japanese armor. Introduction of firearms such as matchlocks or Tanegashima starts in the year 1543. This caused a great drop in the appearance and use of this weapon in battle. During the period, battle tactics also developed and with that, the Yari took the place of the Naginata as the polearm for battle. 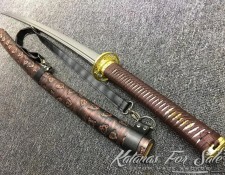 The Naginata was highly effective for long-range battles. This is due to the combination of a long pole for extensive reach, unlike the common swords. 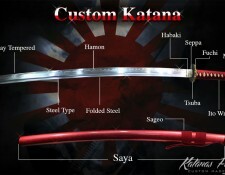 It has a wide and finely-curved blade for superior cutting power. This was also effective for delivering effective stabs. 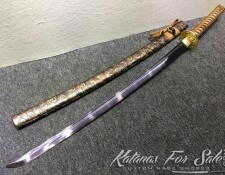 During the 10th century, Naginata is being used on the battlefield. Cavalry units used this to repel mounted soldiers by using bows, arrows, and swords. Like a lot of polearms, the Naginata was effective against mounted cavalry, and those who wielded the weapon were regarded with great esteem. Off the battlefield, women use these weapons to protect themselves and their children. This was common when men in communities were working on the field or were in battles. Because of its size and excellent reach, a woman was able to keep their attacker at a safe and good distance. However, the introduction of firearms in the mid-17th century completely alters the strategies on the battlefield. With that, the Naginata’s use and popularity dramatically decrease. It becomes a weapon solely used by women in protecting their homes. Eventually, Naginata training becomes a form of exercise and for character development. In the Edo period, Japanese women coming from Samurai families needs to master the usage of Naginata by the age of eighteen. By this time, polearms have intricate designs and are a vital part of a woman’s endowment. 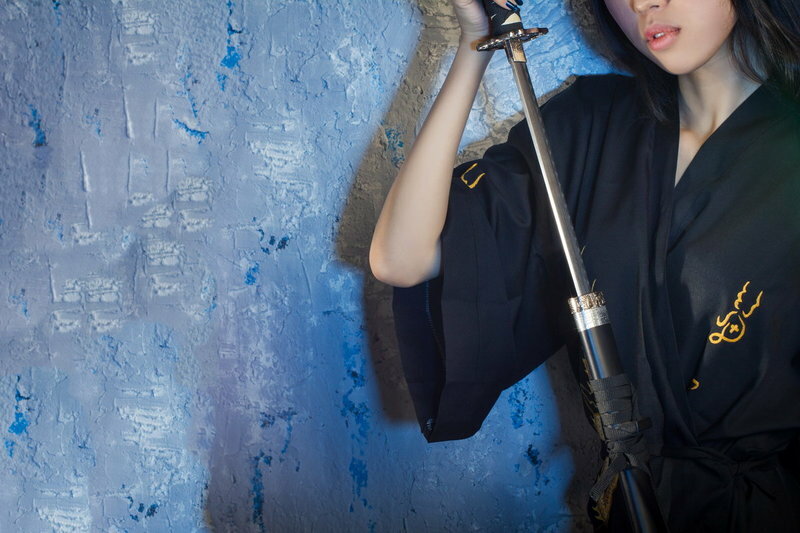 It was not only used to protect one’s home, but Naginata is also effectively used by female warriors. In truth, there was a wrong impression about women being submissive during this period. 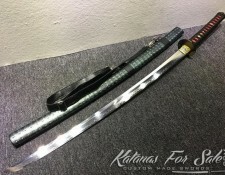 In reality, women are excellent in utilizing the Naginata as well as other hand-to-hand fighting techniques. To that effect, one of the most popular female warriors is Hangaku Gozen having superior Naginata skills. She is in charge of a military post with 3,000 soldiers at the Torizakayama castle. 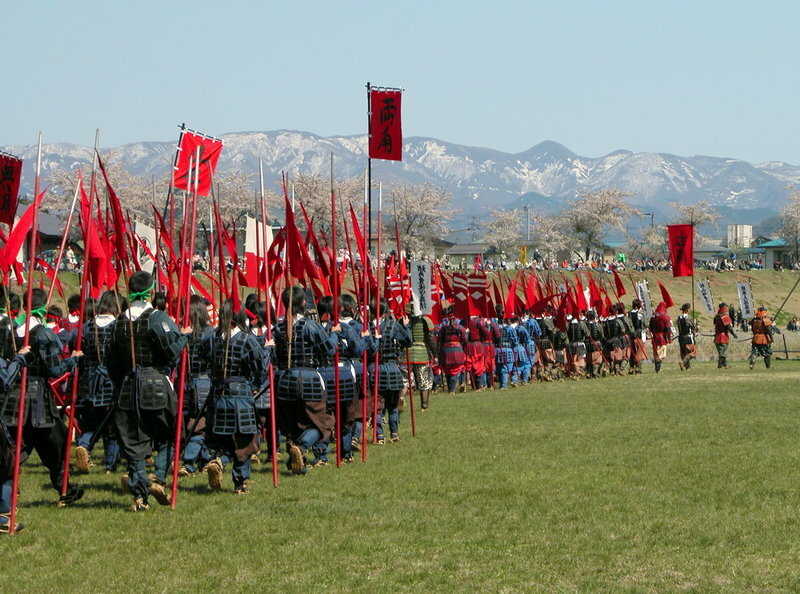 The Hojo Shogunate commands more than 10,000 warriors to attack Gozen’s group. However, she led her troops with complete courage and directly charging the Hojo troops, killing a good number of Hojo warriors before finally being overthrown. When the Naginata lost its use in battle, it became a woman’s symbol of social status. It was extremely vital and included in a Samurai daughter’s dowry. Women practiced the use of the weapon more than males did. 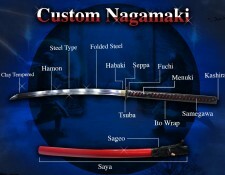 However, areas like Australia and various European countries have more men using the Naginata. 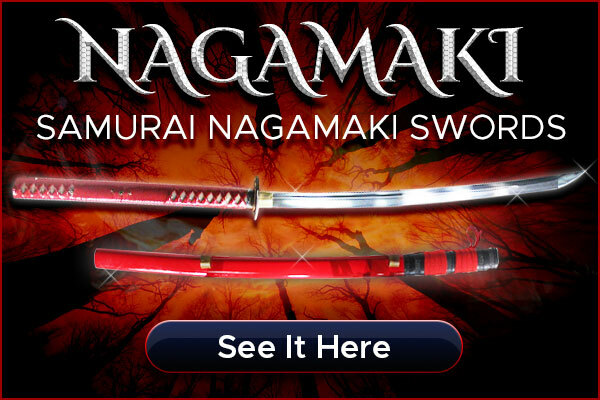 The Naginata is an excellent tool for stabbing, hooking and battering an enemy. Due to having a balance mass center, it is commonly whirled to proscribe a wide radius of reach. 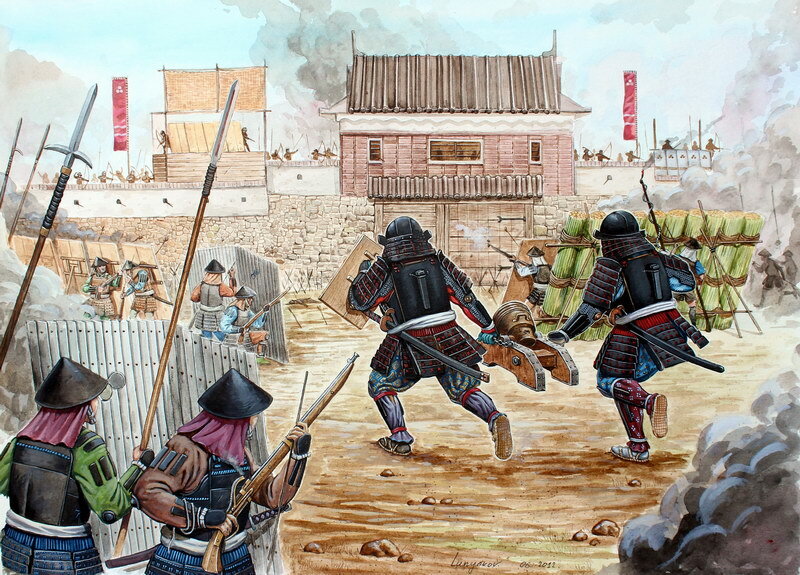 Historically, Ashigaru uses the weapon to create enough space on the battlefield. This is because it provides numerous situational benefits over swords. 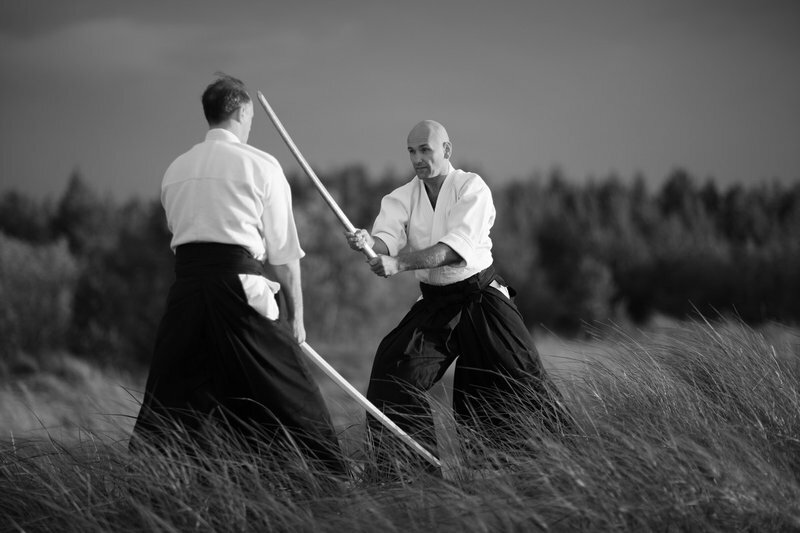 The Naginata offers an extended reach allowing a user to keep his opponent at a safe distance from himself. 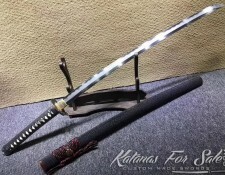 Its adequate weight enables the user to have enough power in executing cuts and strikes, even if the Naginata’s weight is a disadvantage. The weight along the end of its shaft plus the shaft itself can be advantageous for offense and defense. Along with Jujitsu and Kendo, Naginatajutsu is a kind of martial arts being practiced today. Yet compared to Jujitsu, Naginatajutsu makes use of a weapon solely in practice. There are some styles of Jujitsu that practice with the Naginata. However, higher dan black belters use it. Naginata is the modern usage of this art, and Bogu refers to the protective armor worn. 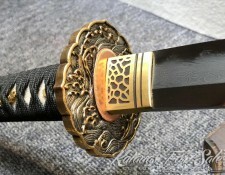 Today, there are about 80,000 people who practice and study the use of this weapon. The Second World War resulted in banning every form of martial arts in Japan. However, the government lifts the ban in the year 1950 and the contemporary form of Naginata practice rose. Today it is Atarashii Naginata which translates to New Naginata. Since then, it is practiced as a form of sports which mainly focuses on etiquette and discipline. 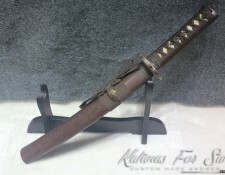 This entry was posted in Japanese Weapons, Samurai History and tagged honor blade, japanese swords, nagamaki, nagamaki sword, naginata, naginata for sale, samurai swords. Bookmark the permalink. 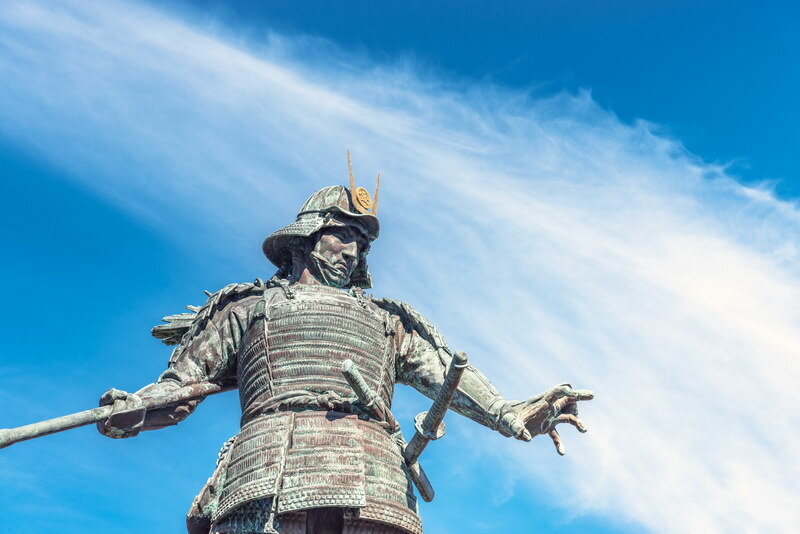 ← Who Were the First Samurai Warriors?